Is dinnertime as crazy at your house as it is at mine? It seems like once we're home from school pick up, it's just a crazy roller coaster ride until it's time for the kids to go to bed. There's always a lot of whining, crying, 'she's eating my LEGOs,' screams from my oldest child, and utter madness that unfolds at our house in a very short amount of time. I want to be able to spend more time playing with my kids, helping with homework, and still be able to get a great home-cooked meal on the table for dinner. When my husband and I were first married (before kids), I loved cooking for him, and enjoyed making elaborate meals. Now we're lucky to make it through dinner without ten meltdowns, and I rely on a few good staple recipes that are versatile and offer different meal options throughout the week. Oven baked meatballs are quick, easy to make & so tasty! Choose recipes that are easy & versatile! Meatballs are a go-to for us, because there are so many different ways to enjoy them. From spaghetti and meatballs to Sweedish meatballs and meatball subs, there are lots of ways to use up leftovers. I used to make meatballs in a skillet and always wound up making a huge mess, not to mention, the meatballs never seemed to cook evenly. 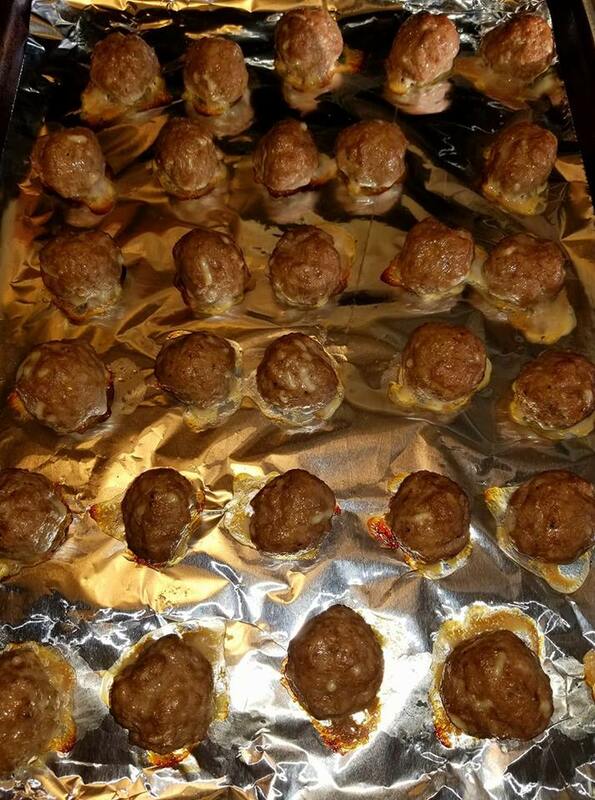 Once I wised up to baking the meatballs, I realized that my whole world had changed. There was no longer a greasy mess to deal with, no frying pan to wash, and the meatballs turned out moist and delicious every time. Preheat oven to 450 degrees F. Line 2 rimmed baking sheets with foil and set aside. Place the ingredients into a large bowl and gently mix together with your hands- trust me, it's the best way to incorporate all ingredients evenly. Use a small spoon or cookie scoop to make the meatballs the desired size. Just make sure they're all the same size. Bake in the preheated oven for 10-14 minutes, depending on the size. Serve warm with an accompanying sauce, if desired. 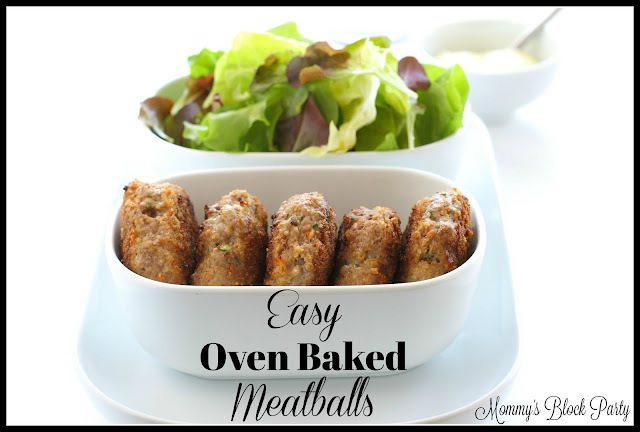 Allow meatballs to cool completely on the baking sheets. 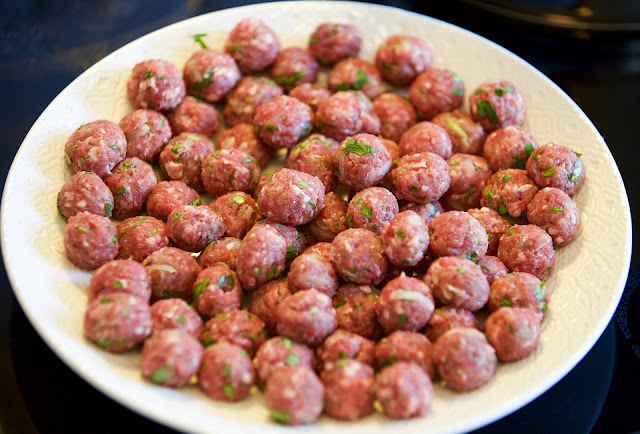 Once cool, scrape the fat away from the meatballs and seal tightly in a freezer safe bag or airtight container and place in the freezer. Pop them into the microwave for quick and easy meals! Use up the leftover meatballs throughout the week! They're great to eat on their own or to pair with noodles, in a sandwich, etc. Make a couple of batches at a time and freeze the extras so you'll have a quick & easy meal ready when you're in a pinch. This is our favorite meatball recipe & we make meatballs every couple of weeks. The kids love them, and so do the grownups! You can't go wrong with this easy to make dish! 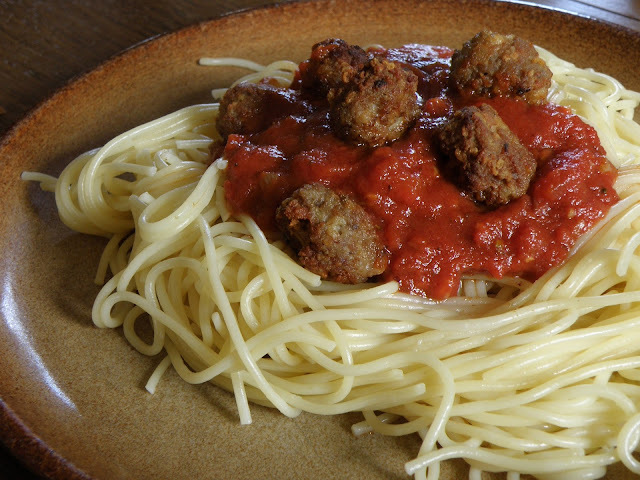 What's your favorite way to enjoy meatballs?